There’s nothing like coming home to a lovely living space that has everything you need. Interiors at The Horizons at Franklin Lakes Apartment Homes are designed for ease, with attractive finishes and modern conveniences. Apartment homes are ready for cable and high-speed internet. Enjoy some extra peace of mind knowing that maintenance is available day and night, seven days a week, with 24-hour emergency maintenance. Take advantage of our lively community with a workout in the fitness center or a wine and cooking class with neighbors in the community kitchen. 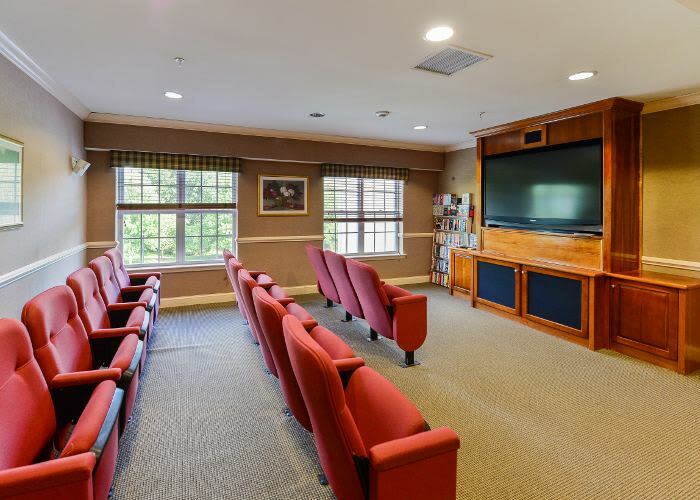 The Horizons at Franklin Lakes Apartment Homes is ideally located within easy reach of local parks, Shadow Lake, Franklin Lakes Public Library, Market Basket, and Stop & Shop. From here you are steps away from New Jersey Transit, and a moment from I-287. Call us anytime to schedule your personal tour today of The Horizons at Franklin Lakes Apartment Homes, a Morgan Properties 55+ apartment community.